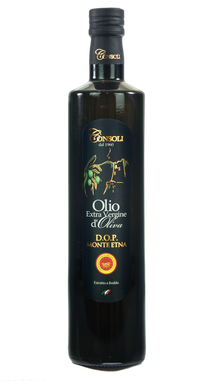 This oil is obtained from olives cultivated exclusively on the volcanic slopes of Mount Etna. The harvest begins during olive veraison. The harvest is made by hands with the help of nets used to separate fresh-cropped olives from those that had earlier fallen on the ground. 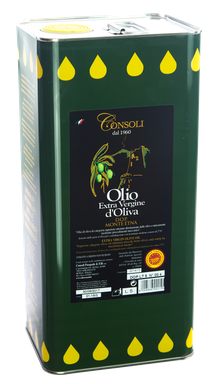 Olives processing is conducted using the latest technologies: after a careful kneading operation made with a temperature less than 27°C, oil is extracted from olive pastes through a centrifuge process. The oil is conserved in stainless steel containers with the addition of nitrogen under controlled temperature. 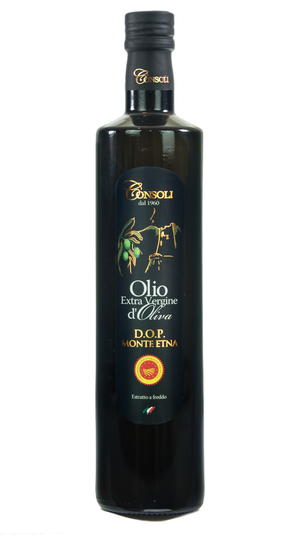 More than 65% of Nocellara Etnea and the remaining part of Moresca and Ogliarola Messinese. Opalescent with deep green hues . Light fruity leaving a sensation of fresh grass and green tomato. Btter, spicy, harmonic, with a tomato aftertaste note. 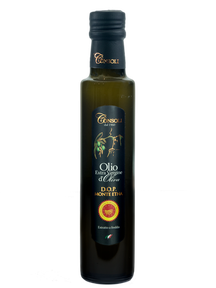 On almost any kind of dish raw or cooked, suitable on fish and vegetables.